High fives to our episode sponsor PRANA (www.prana.bio/us), a family-owned Canadian purveyor of yummy 100% organic, vegan, kosher, gluten-free, and non-GMO snacks. PRANA just launched in Boston at Stop & Shop, Star Market, Shaw’s, Good Health Natural Foods, Basha’s Natural Marketplace, Your Health Matter, and Living Earth so look for them on your next grocery store run! It’s a new year — a time when we’re often hard on ourselves when it comes to goals of all stripes, including food and exercise. But it doesn’t have to be that way. 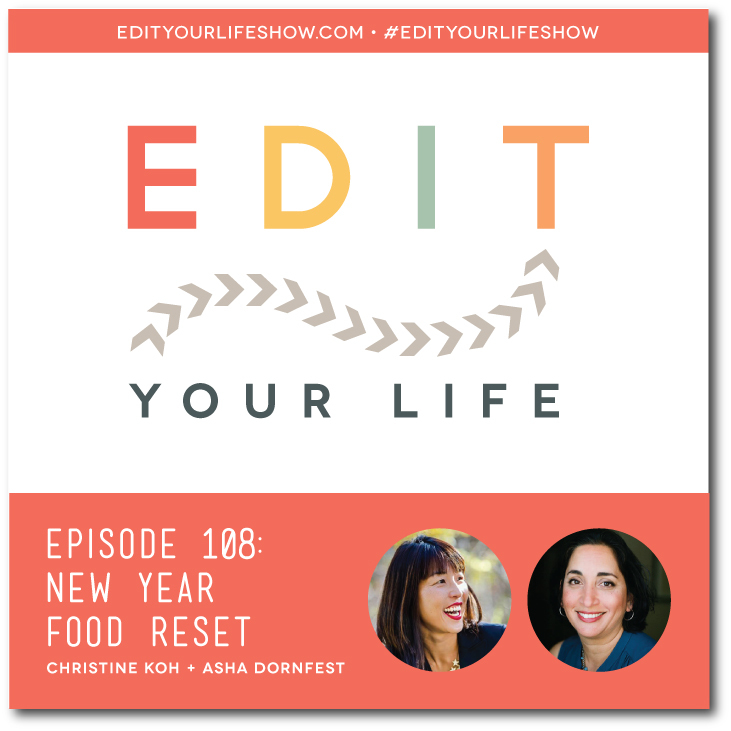 In Episode 108 of Edit Your Life, Christine and Asha shift the framing of new year goals to positive changes you choose rather than failures to correct. They go on to offer 8 positive, doable, guilt-free tips for resetting your eating habits after the holidays. PRANA snacks in a blizzard! What is your go-to quick and healthy dinner? Join the discussion on the Edit Your Life Facebook page (look for the Question Of The Week post pinned to the top of the page).